Activists and human rights groups in Haiti respond as Dominicans of Haitian descent are threatened with deportation. Human rights and religious groups in Haiti have united to plan a “march for dignity” on Tuesday 21 July through the center of the capital, Port-au-Prince, in solidarity with Dominicans of Haitian descent, as well as those Haitian immigrants in the Dominican Republic, TeleSur reports. 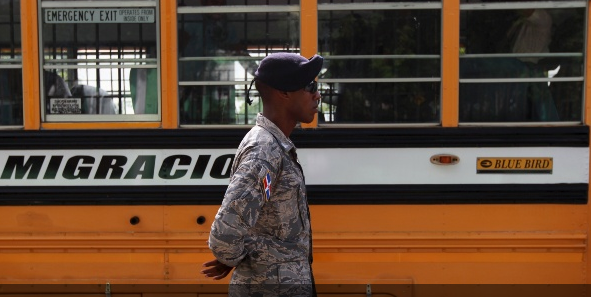 The move comes as the government of the Dominican Republic rejected the demand of the Organization of American States to enter into dialogue with Haiti over the former’s decision to deport thousands of Haitian immigrants and Dominicans of Haitian descent. Organizations including Support Group for the Repatriated and Refugees, the National Network of the Defense of Human Rights and the Center for Analysis and Investigation in Human Rights, plus at least eight others have rallied together to call on political parties, businesses and citizens to attend the demonstration. Good we need that effort.